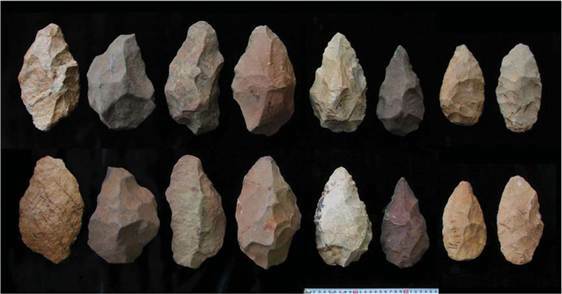 But nearly a million years later, more sophisticated two-sided hand axes or cleavers emerged. These Aucheulean tools could be up to 7.8 inches (20 centimeters) long and were probably used to butcher meat. Scientists recently discovered tools of this type a few hundred miles away near Lake Turkana in Kenya, dating to 1.76 million years ago. Because of its coincidence with the appearance of Homo erectus, scientists believed the sophisticated tools were made by the newer species of Homo, but proving that was tricky, because the dating of fossils and tools wasn't precise enough, said study co-author Paul Renne, a geochronologist and director of the Berkeley Geochronology Center in Berkeley, Calif.